Today is ; local time is 12:04:07 PM. Hello again ! This is my Nasa Live Stuff page (). 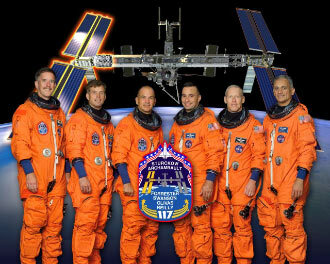 Frederick Sturckow, (Lt. Col., USMC) will command STS-117. 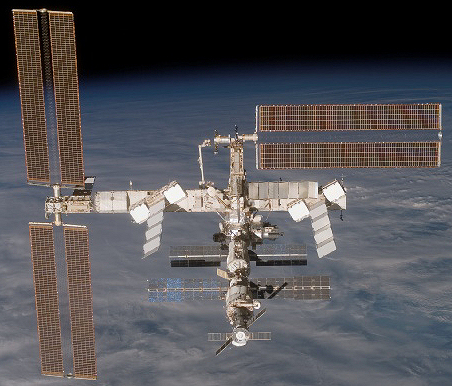 The mission will deliver the second and third starboard truss segments (S3/S4) and another pair of solar arrays to the space station. Pilot Lee Archambault (Lt. Col., USAF) joins Sturckow in the Shuttle’s cockpit. Mission specialists James Reilly II, Ph.D., Patrick Forrester, (Col., USA), Steven Swanson, Ph.D., and John D. Olivas, Ph.D., round out the crew. 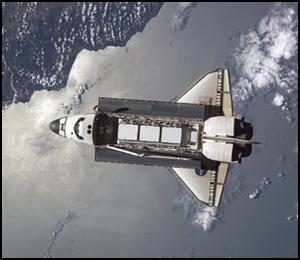 STS-117 is the 21st shuttle mission to the International Space Station.